WILLIAM C.L. WU, M.D., M.P.H., F.A.C.C., F.A.C.P., F.S.C.A.I., F.S.V.M. Heart and Vascular Clinic of San Antonio specializes in invasive diagnostic testing and interventional treatment of heart and vascular disease. 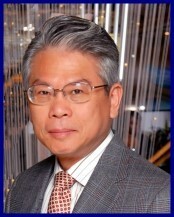 Dr. Wu is proficient in high risk invasive cardiovascular diagnostic and interventional procedures, additional developing new techniques for vascular interventions to prevent amputation.